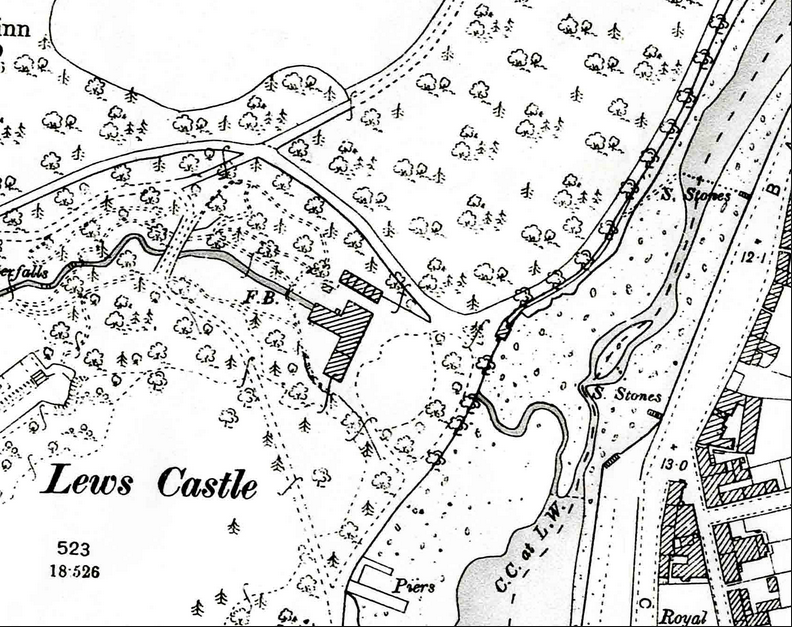 The Stornoway Trust were given Lews castle and its grounds to hold in Trust in perpetuity. 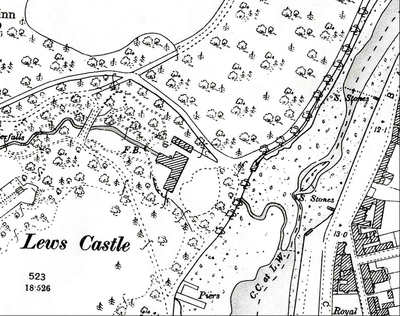 Glasgow's architect for the dreaming spires of the Park Circus areas - Trinity College - Charles Wilson built the Lewiis Castle robustly in a time of growing Philanthropy. 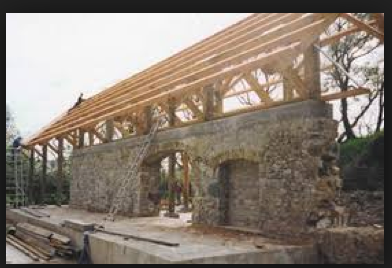 A robust Edwardian play on a Castle that had fallen into disrepair was momentarily lying approaching dereliction as were many of the supporting buildings including the old sawmill . 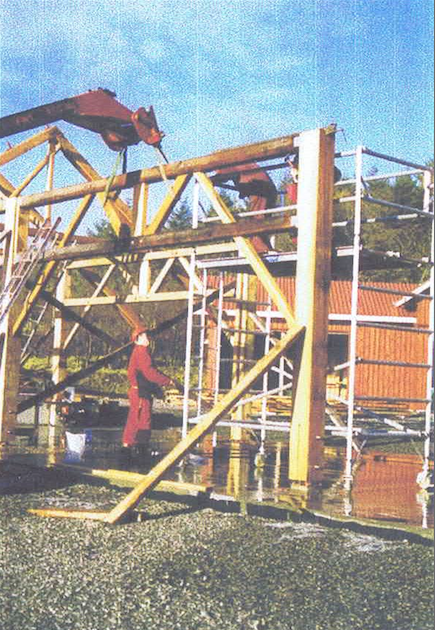 As the storms of 2000 wreaped havoc on the old trees planted in the mid 19 th Century when the Castle was being built, there was a need for the new sawmill to convert high quality hard wood logs to lumber. 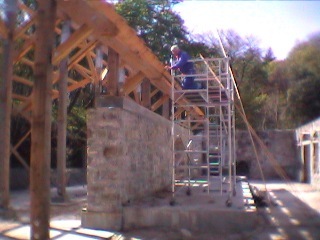 There had been a sawmill on this site since the 1700 s and some remnants of walls were left. The commonty handed " in perpetuity " by the Lords of the Isles the Grounds of the castle had a lot of local negativity associated with it . 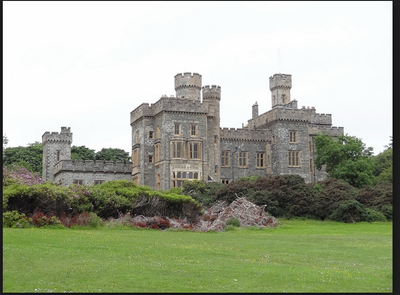 The refurbishment of that grand elaborate stone Castle was at that time beyond the Trusts financial abilities. 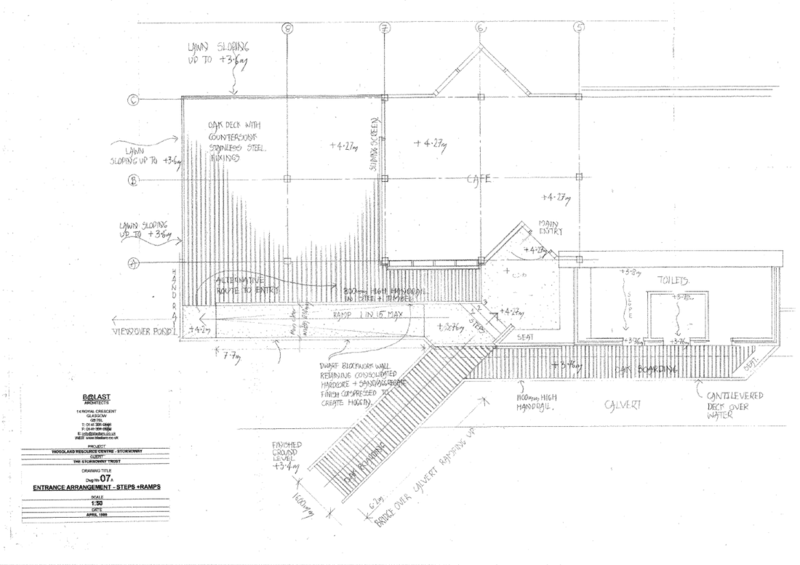 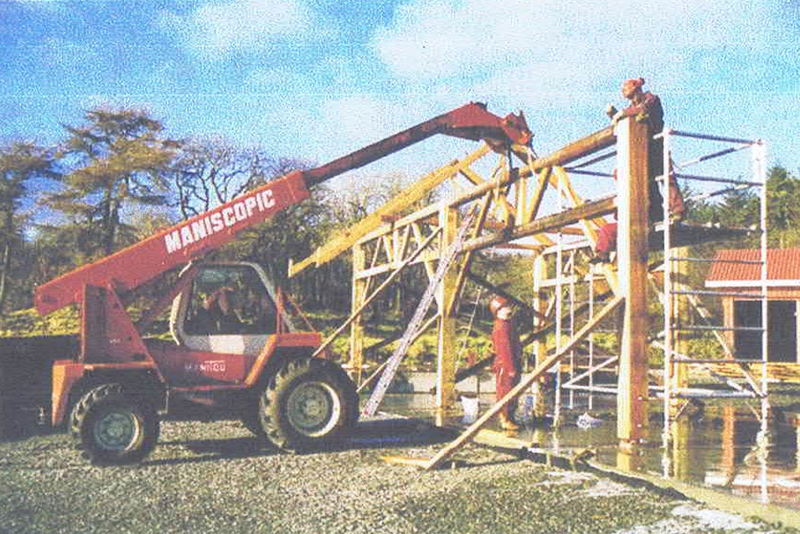 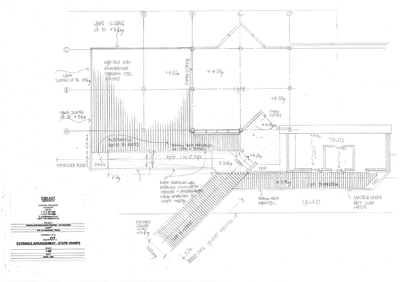 They were busy training their groundsmen in the working of the new Saw Mill that we also took a hand in designing afew years before in collaboration with Neil Sutherland . 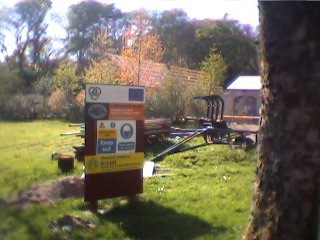 The new sawmill buildings were already busy 1500 m due north of the new Woodland Centre Building. 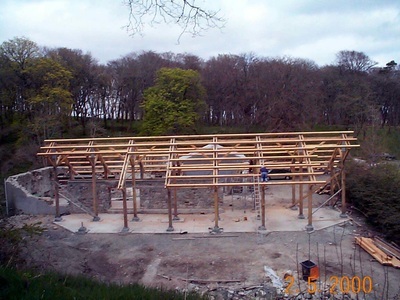 In parallel to that period around the millenium the Stornoway Trust were looking for a new administrative and interpretation Building that they could mill and erect them selves from the trees that were being blown down in the grounds. 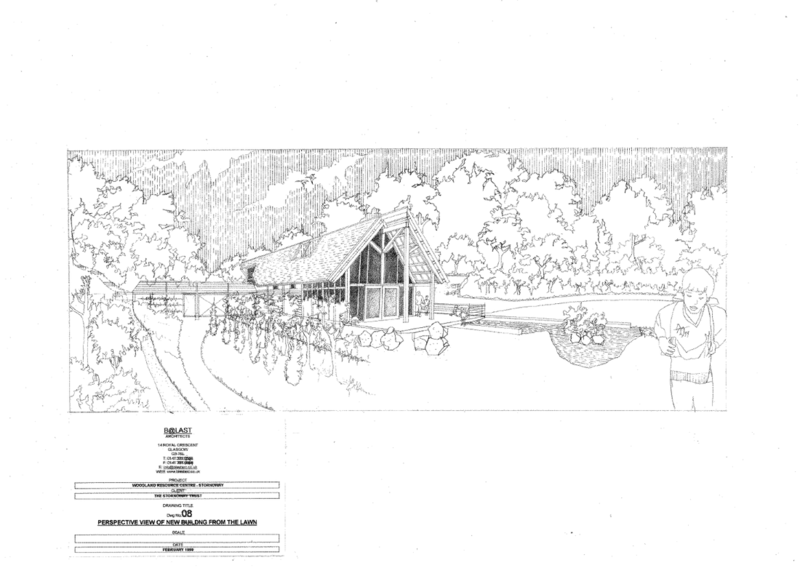 A brief for a positive new Coimmunity Building that could signal a turning point for the castle and the grounds started to evolve. 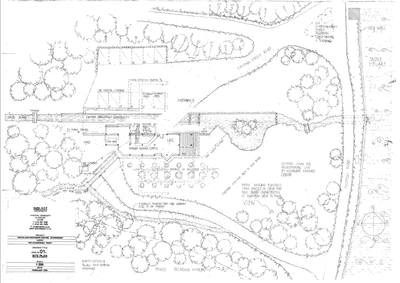 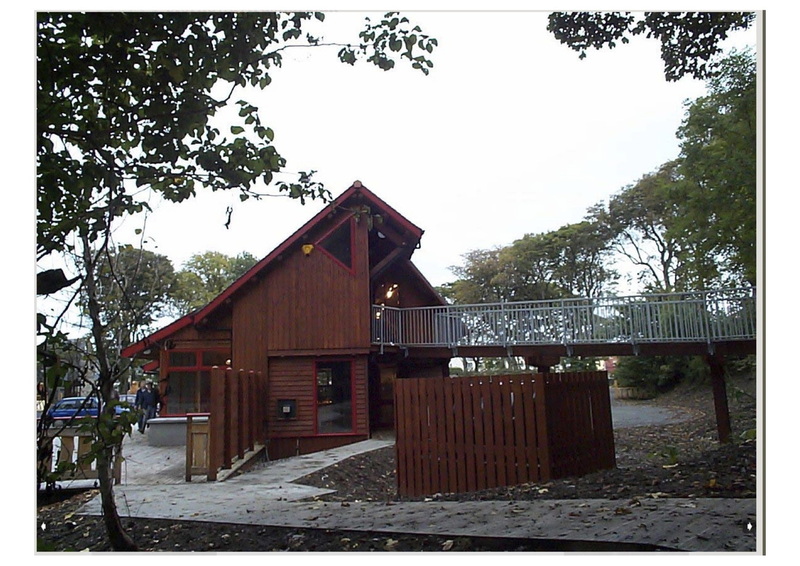 They asked for a Woodland Centre made of immediate woodland products . 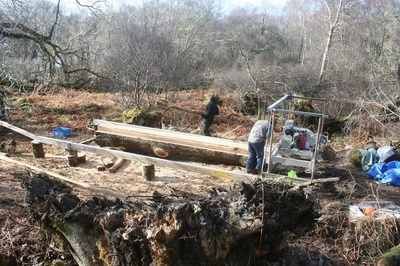 A survey of Timber was undertaken and species considered. 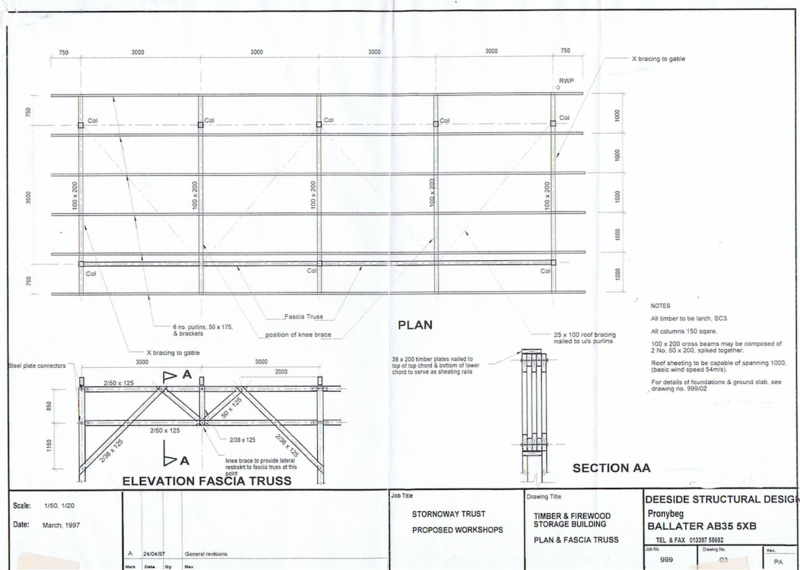 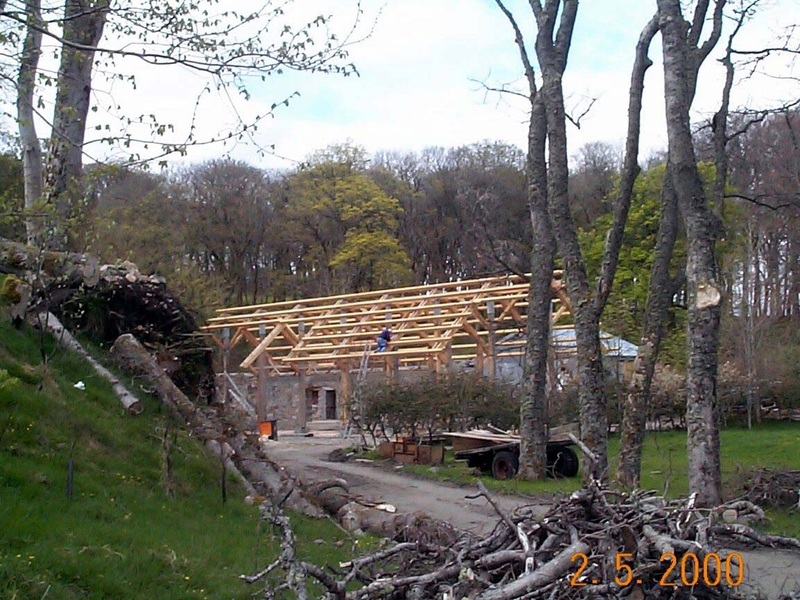 We worked intimately with Stornoway Engineer Colin Macauley in assessing the structural class and possibilities in the Timber available from the Trusts Grounds. 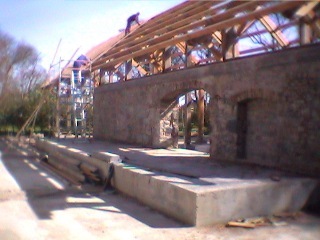 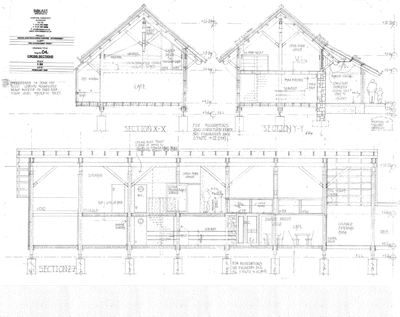 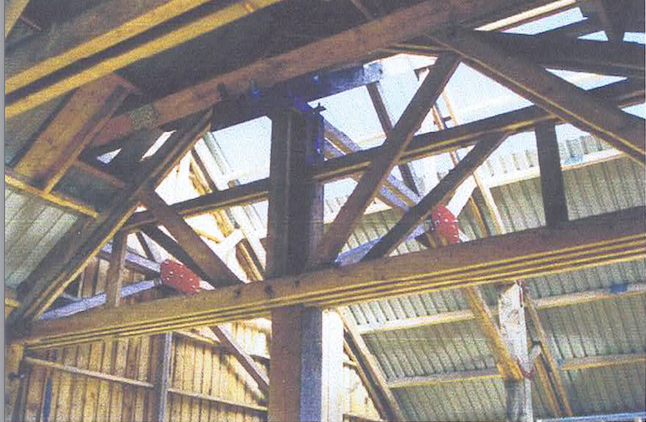 This Engineered Barn Frame was the result of locally harvested and milled Douglas Fir. 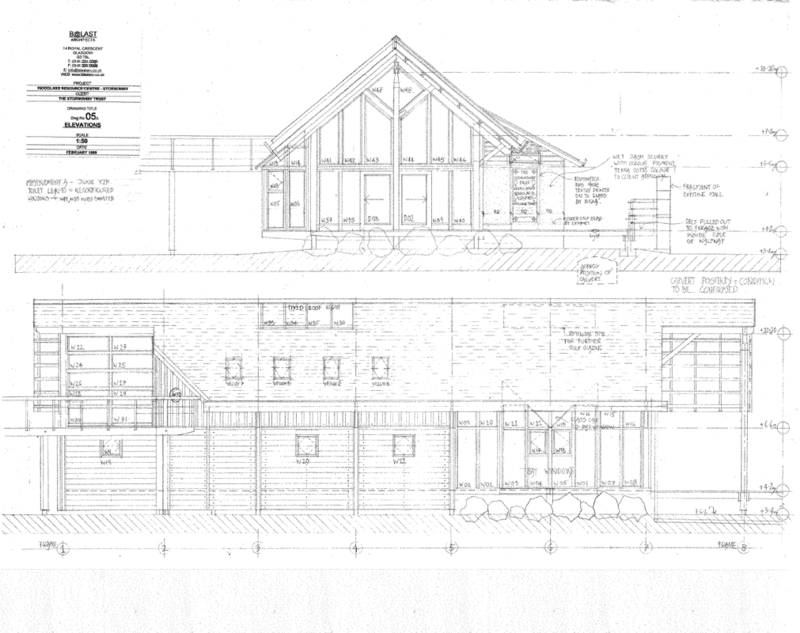 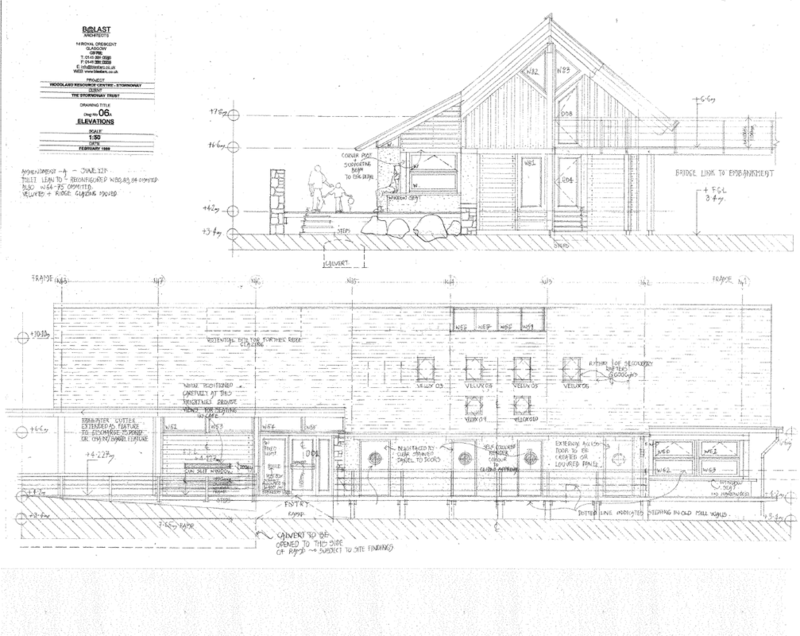 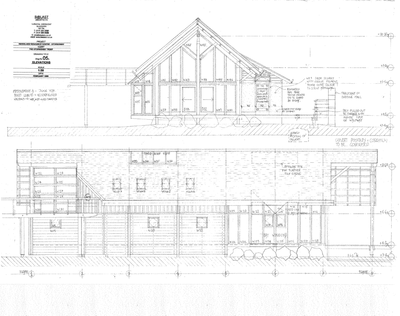 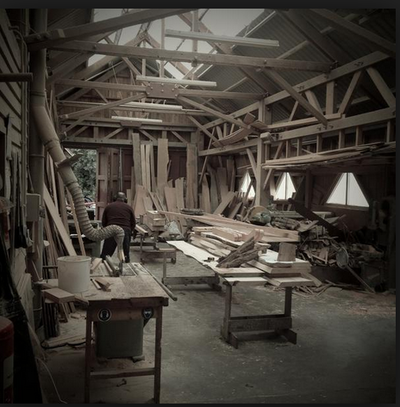 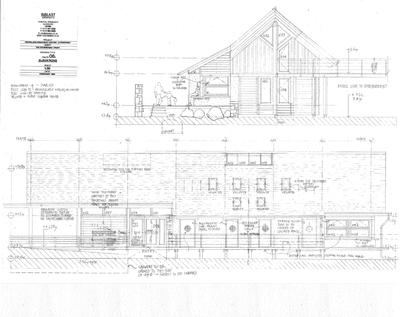 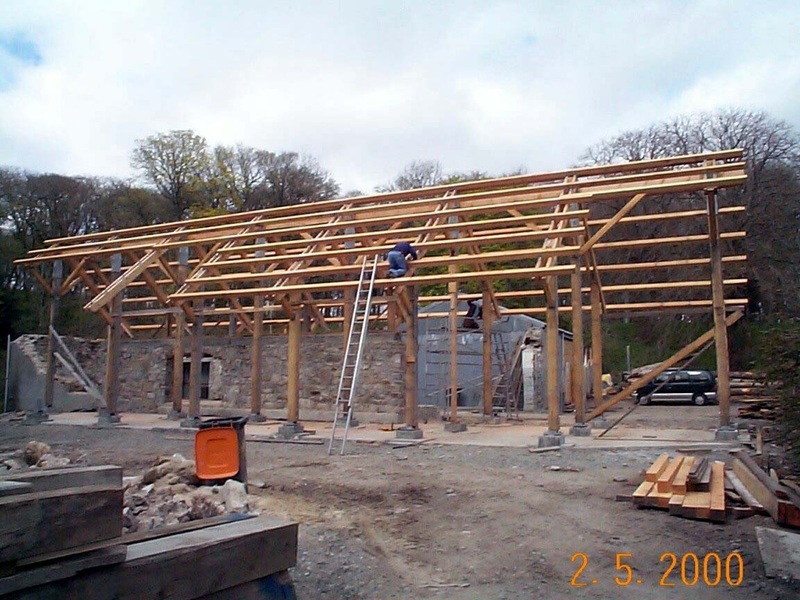 Using experience gleaned whilst working with Carpenter oak as a frame designer Andrew quickly drew up A large barn that could be dropped on to the best of the remaining walls of the ancient Saw Mill. 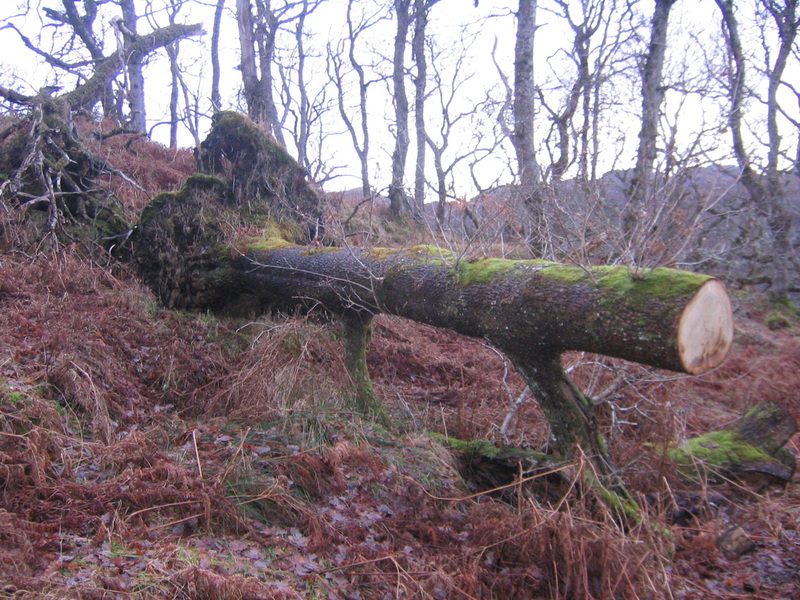 Allegedly when the crofters were coming into Stornoway Town after crossing the Allt nam Brog or "Shoe Burn" they would put them .. Their brogues ...on. 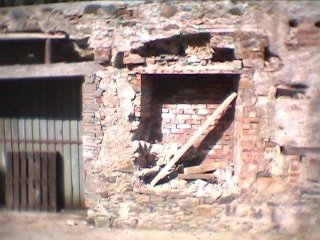 The Shoe Burn ran under the floor of the existing building in a brick Built Lade. 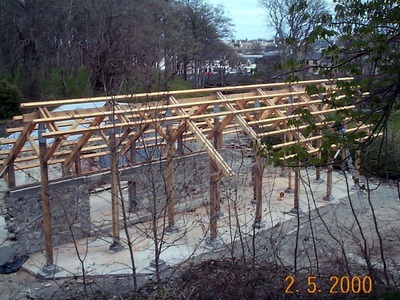 That feature is retained and the shoe burn continues to flow canalised underneath the new building ...into the harbour to this day. 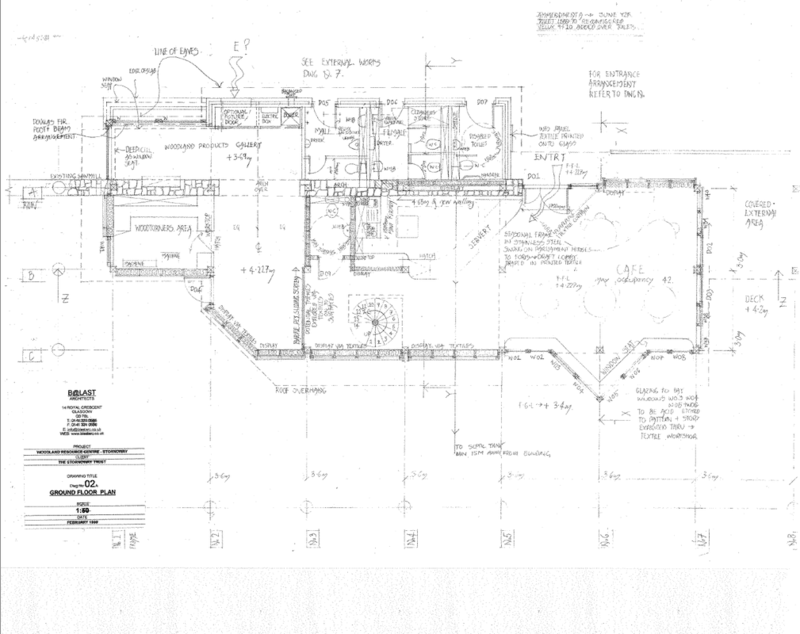 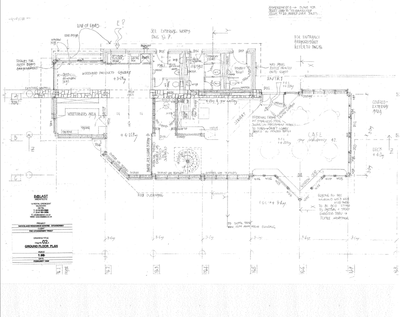 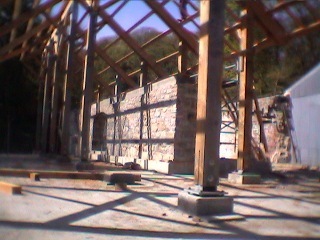 When in spate which is quite often, its vibration could be gently sensed inside the Building. 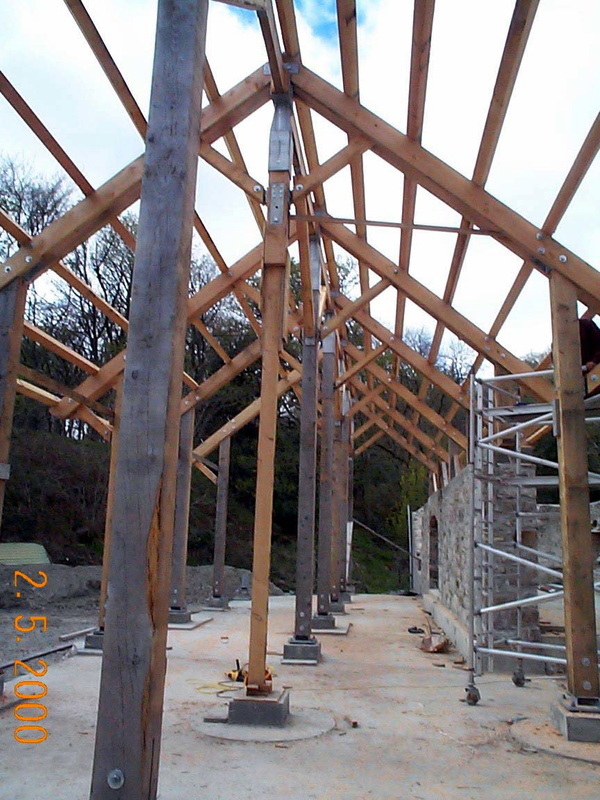 The best of the stone work was consolidated and retained providing thermal mass and delineation within the footprint of this new barn. 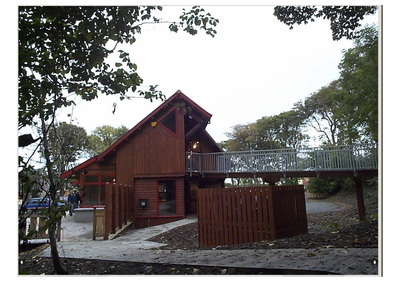 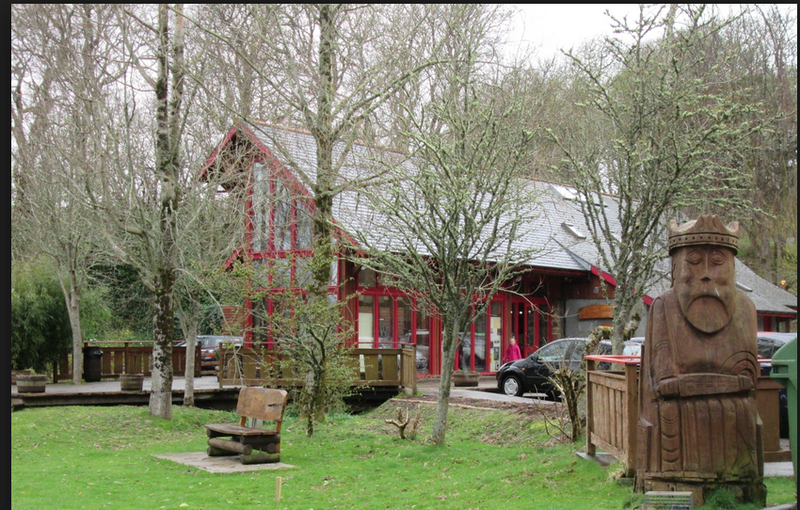 It remains to be affectionately known as the Woodland Centre - A building centering on woods and good use of wind fallen wood. 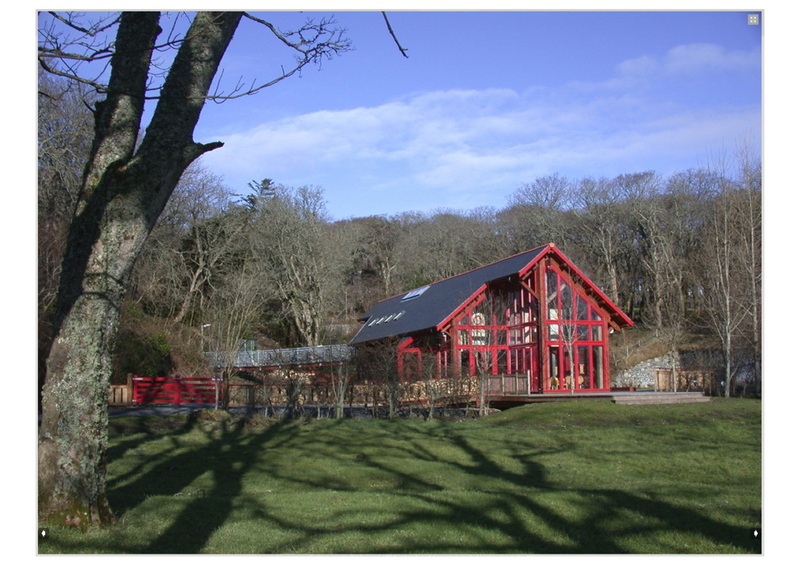 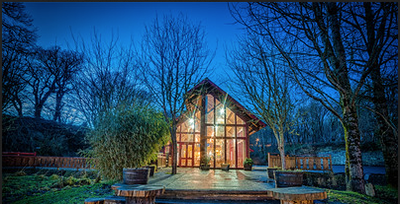 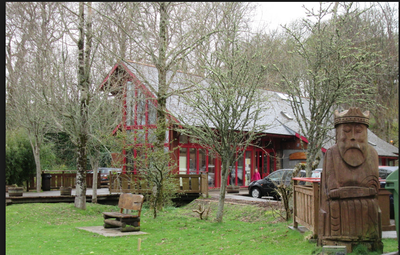 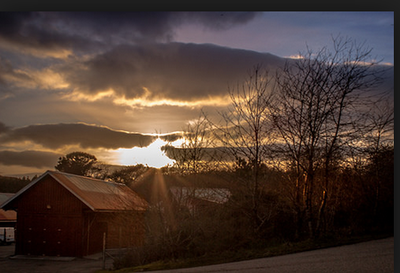 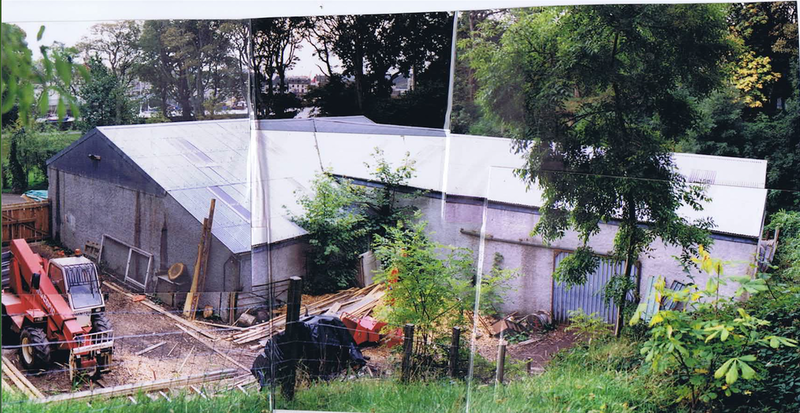 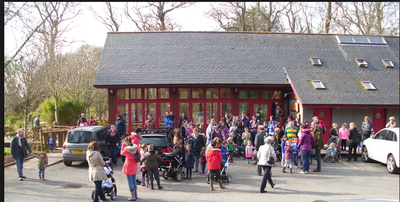 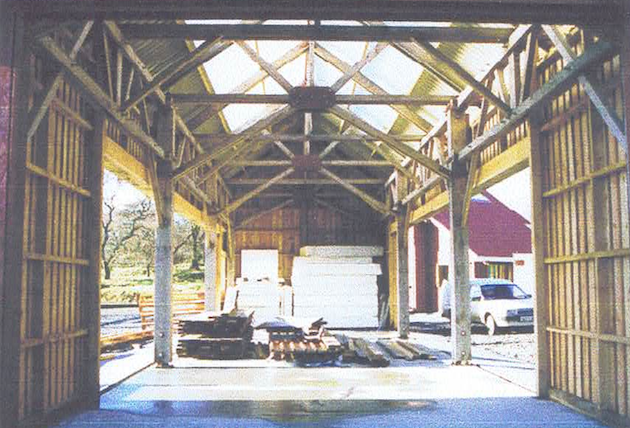 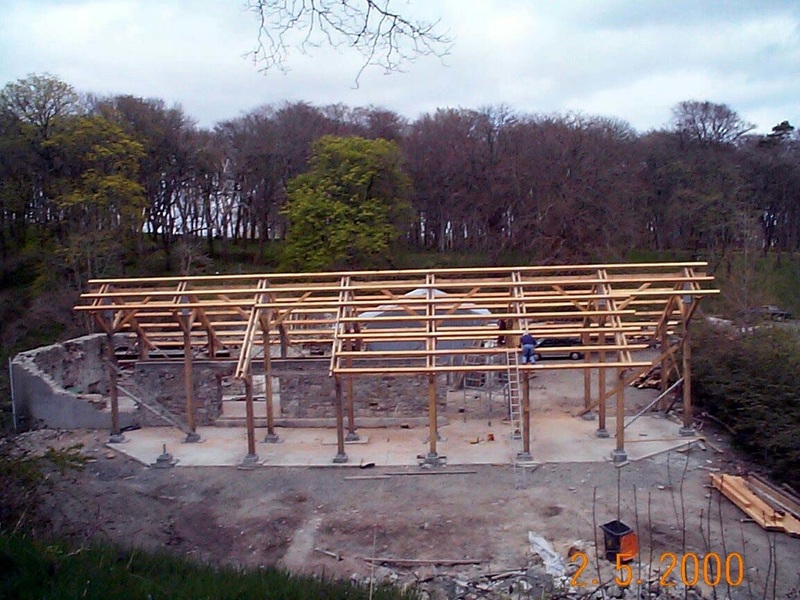 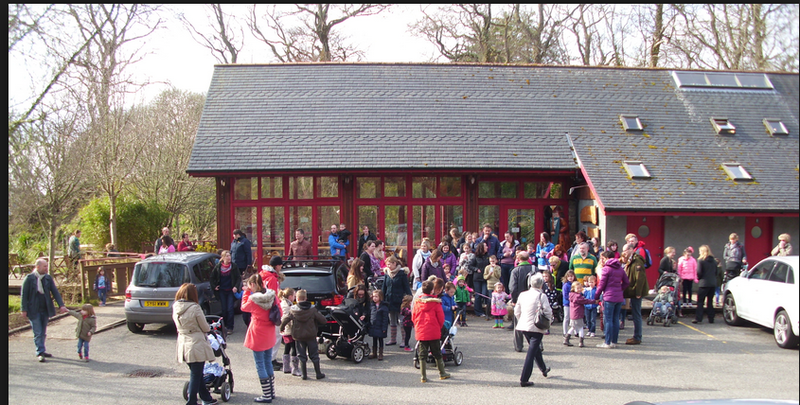 The trust operates a community Woodland scheme and orientation from this busy Barn of a building. 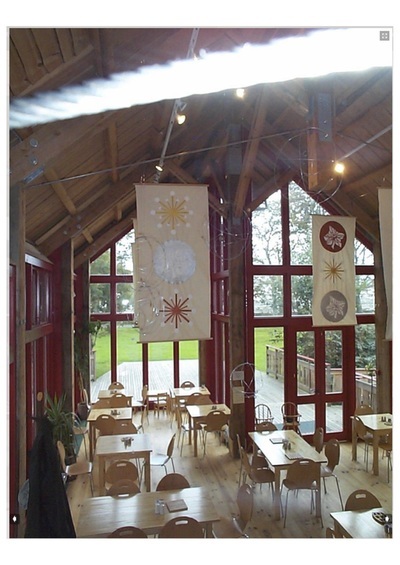 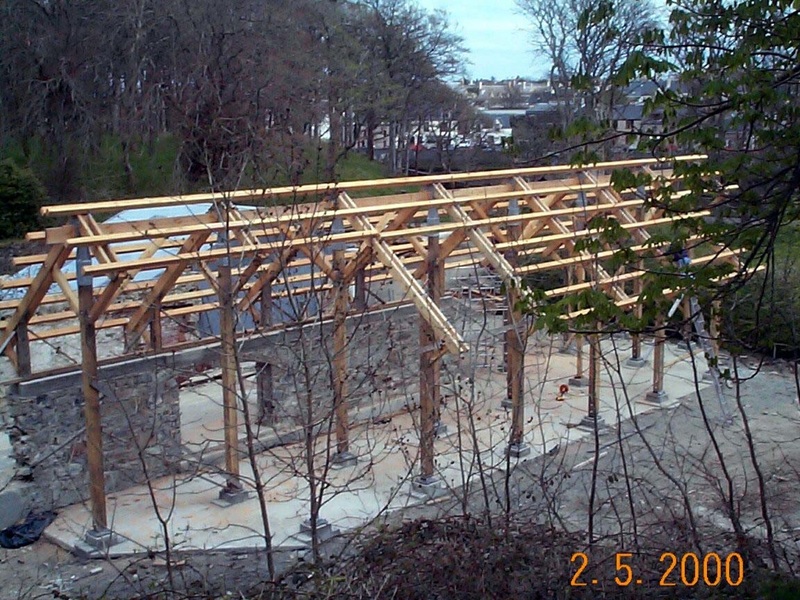 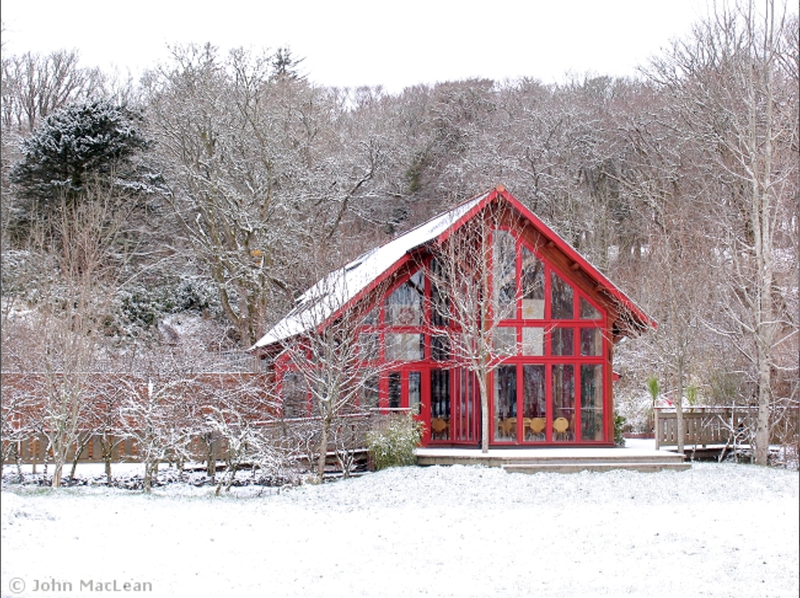 Built on a Barn Raising format , quickly in the year 2000 it played its part in turning the Grounds of the Stornowaty Trust into a place of positivity once again. 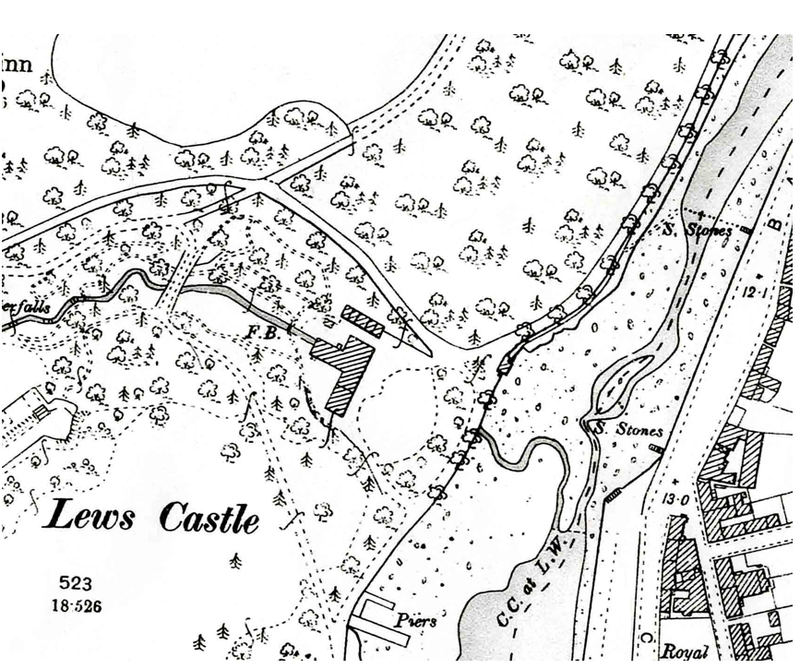 With the Community of Stornoway engaged once again with their grounds - The Lews Castle was rennovated and is occupied once again. 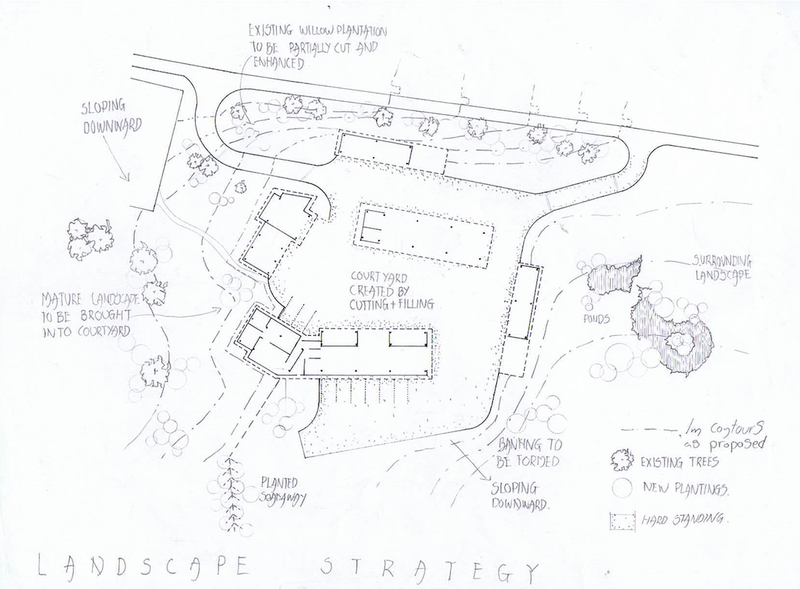 The woodland and individual trees have been given new relevance and new value. 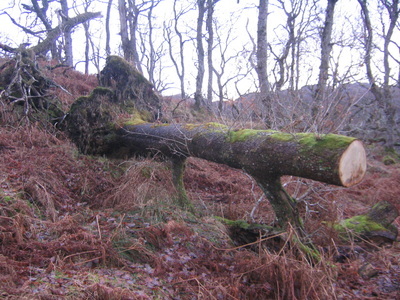 It's unlikely in Stornoway that Mature trees would be sawn up for fire wood again . 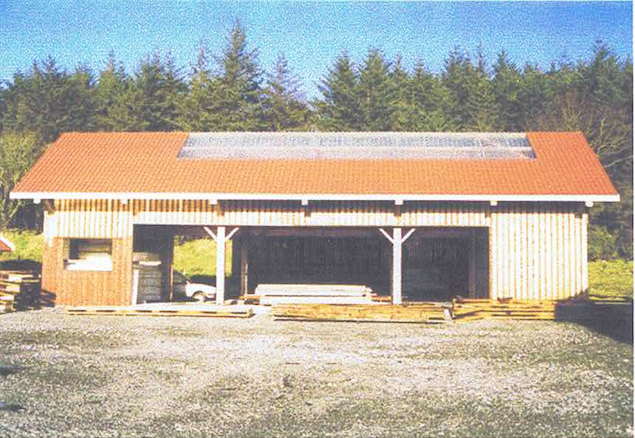 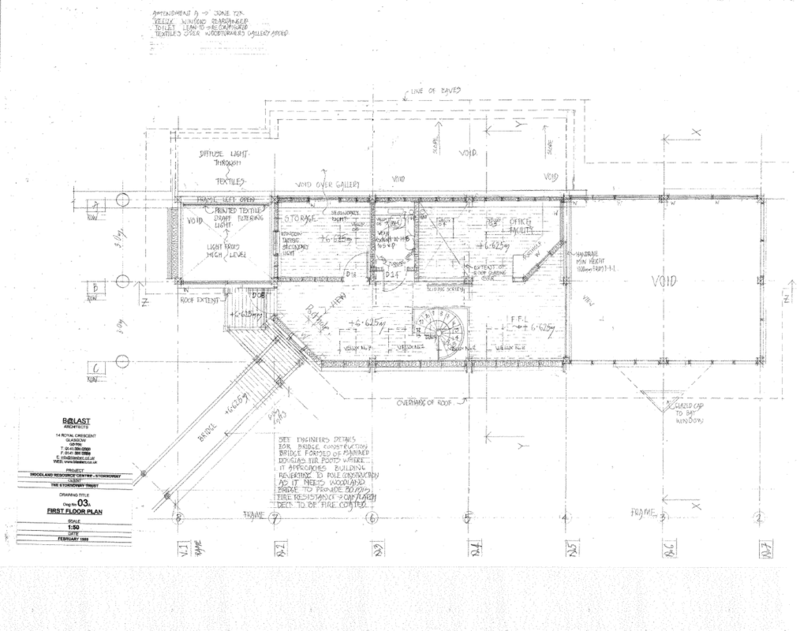 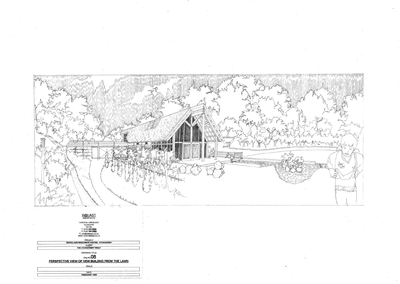 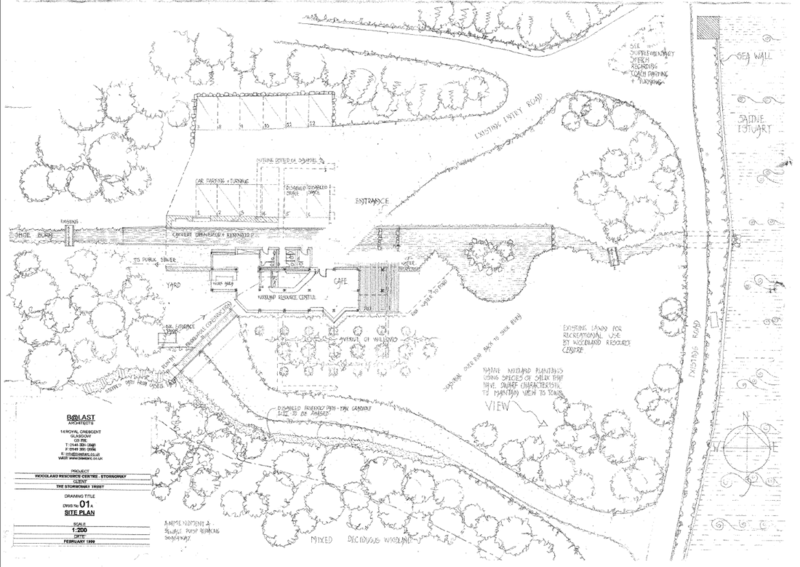 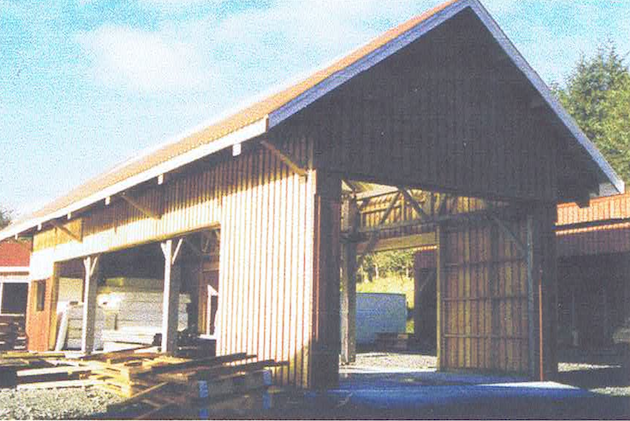 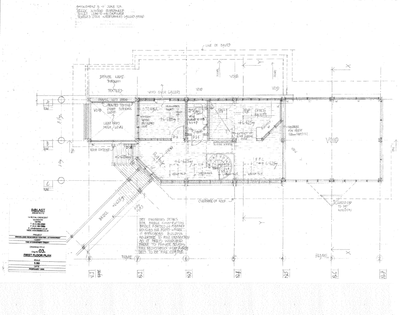 Some images of the New Sawmill built prior to creation of the Woodland resource Center.